Until now, monitoring life insurance policy performance has been both time consuming and costly. This, combined with an upfront commission structure along with the ever-changing insurance landscape, has led to a wait-and-see approach to policy management. PolicyGuard™ was designed in response to this disconnect and designed specifically to provide trustees, advisors, insurance carriers, BGAs, as well as banks and broker dealers with a turnkey solution to solve the problem of ongoing policy monitoring and fiduciary management support. PolicyGuard™ was created to ensure your life insurance contracts are actively managed each year so you have the timely policy information you need to make informed decisions. Click the link to our video below and see why PolicyGuard™ can be a difference maker in your business. 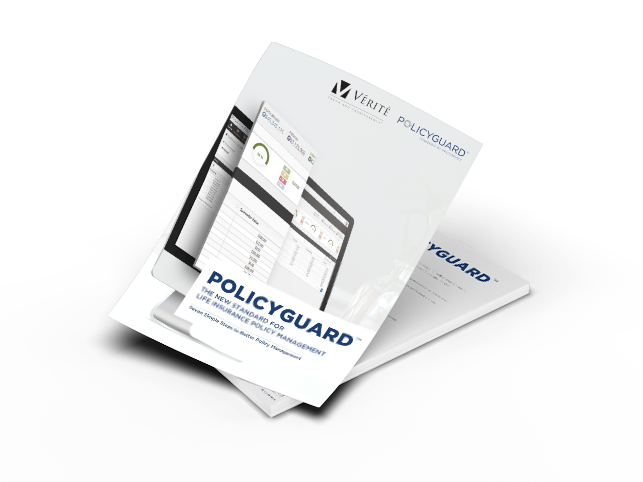 PolicyGuard™ simplifies the complexities typically associated with on-going policy management by leveraging intuitive and easy-to-use technology for better portfolio oversight and control. If you are interested in learning more about how the PolicyGuard™ engine can impact your firm, download the below brochure on how PolicyGuard™ works. Many policies may not be performing as they were designed to perform when they were sold. 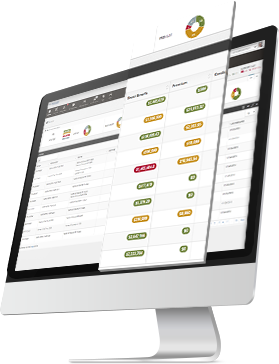 PolicyGuard™ allows policy owners and their advisors to set guidelines and the system alerts them when the policy falls below those guidelines. Copies of insurance policies, annual statements, policy illustrations, trust documents and all other policy related materials can be archived in folders within PolicyGuard™. These documents are safely stored and always accessible. Comdex ratings are updated quarterly to identify any carrier within the portfolio that have rating changes throughout the year. PolicyGuard™ can send system-generated reminders such as gift reminders, Crummey Letters, premium reminders or custom reminders which all can be created on an individual policy basis.